John, known to all and sundry as, “Gassy Jack” named for his loud and rambunctious nature, he was also known as a savvy negotiator. Jack was the youngest of five children – two girls and three boys. Jack spent the majority of his childhood in his brothers’ shadows. Not only were his siblings closer to each other in age, Jack was an illegitimate child as a result of his father’s extra-marital affair. Jack was also denied the same educational opportunities as his brothers Richard Jr and Tom. His brothers enjoyed a private education while Jack had to make do with basic elementary teaching. At the age of 14, and without an apprenticeship or formal education, Jack packed a bag, joined a ship and set off on a journey that would one day land him on the banks of Burrard Inlet. Jack’s early life as a sailor working aboard British vessels is said to have been tough. In his personal diaries he described the experience as “hard, physical labour, rough quarters and horrible food.” Jack eventually switched allegiance and began to work on American ships. Unlike their British competitors, these vessels had dry, clean quarters, good food and above all a decent ration of rum! In 1851, Jack persuaded an American ship owner to hire him as crew on-board the Invincible, a newly constructed clipper considered one of the finest vessels afloat. Jack spent seven years aboard the Invincible during which time he had countless adventures whilst earning $200 per-month. Following a brief stay back in his birth town with his seafaring stories, Jack gambled away most of his earnings before setting off back to America. By this time John was no longer interested in life at sea. He decided to seek his fortune in Californian goldfields. It was here Jack struck gold with a nugget worth two thousand dollars. 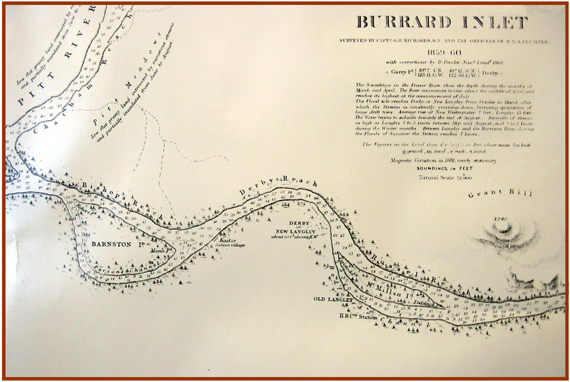 The rush for gold continued, by 1858 Jack was among 27,000 men who left California to seek further riches up the Fraser River. By 1865 Jack married a local Native American woman and was dividing his time between running his own bar known as The Globe Salon in the settlement of New Westminster on Vancouver Island and piloting a Fraser River paddle steamer. Jack became distracted by life on the river, his salon business deteriorated and eventually led to bankruptcy. His business ruined and creditors apparently hounding him day and night, Jack borrowed a canoe and made for the south shore of Burrard Inlet. It was here, on September 28, 1867 that John “Gassy Jack” Deighton landed with his family, his dog, two chickens, two chairs, a large barrel of whiskey and $6 in cash. Soon after his arrival Jack persuaded local mill workers to build him a new saloon bar. The deal he struck with the Hastings Mill workers promised them a day’s worth of free liquor in exchange for their help in the saloon’s construction. It is perhaps a reflection of the locals’ thirst for liquor and a place to socialise that in just 24 hours, the workers and the town had their first makeshift bar! As the settlement began to flourish, Gassy Jack’s mark was so well felt that locals began referring to their home as Gastown, a nickname whose staying power would mirror that of the town. 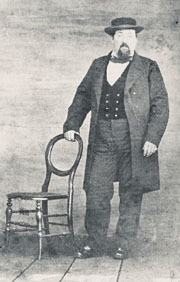 As the township expanded, it became a somewhat lawless place and Jack Deighton was among those who successfully petitioned the region’s governor for the appointment of a police constable. …You see by the head of this where I live has got a name. It has been laid out as a townsite since I wrote home last. I was the first settler here three years ago. Tom, if anything happens to me you shall have all I have got. 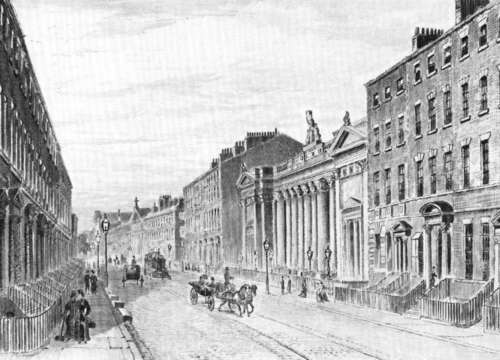 On the evening of the 29th May 1875, Jack died; he was only 44. His obituary in the region’s newspaper said his was a household name and today he is still described as ‘the first and finest pilot on the Fraser’. 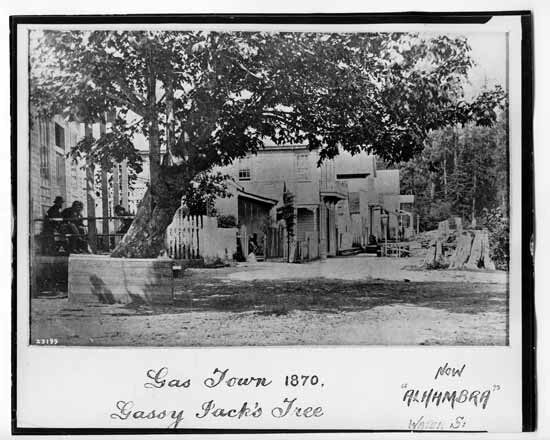 The settlement named ‘Gastown’ continued to grow after Jack’s death. Today it is the oldest part of the city of Vancouver and is graced with a statue of the legendary Gassy Jack. Copper Statue of “Gassy Jack “, Located in the Gastown Area at the Corner of Alexander and Powell Streets erected in 1972.